On December 26th, 2004, a devastating earthquake and Tsunami shook to the ground almost everything that laid in its path along 800 km of coastline in Aceh, Indonesia. Despite all the losses, the event marked a new beginning. Before the Tsunami, Aceh was caught in a thirty-year conflict for independence. It was one of the poorest and most corrupt provinces in Indonesia. Seven years after the disaster there is peace, democratic elections, less poverty and better infrastructure. Countries with strong central governments often make quick progress on rebuilding their physical assets after a disaster. Most important, however, is the existence of a capable local government. Unfortunately many times central governments, aid agencies and development banks actually hinder instead of support their work, thus slowing down their recovery. A good example of the positive and negative potential of foreign aid is a post-disaster waste collection program in Aceh. Last summer I had the opportunity to research the Tsunami Recovery Waste Management Programme (TRWMP), initiated by the United Nation’s Development Programme (UNDP) in the aftermath of the disaster. TRWMP began as a cash-for-work program with the dual aim of offering temporary employment to survivors and removing the uncountable tons of debris that littered houses, roads and fields. The initial cash-for-work program was highly successful. It is a proven method of getting people back on their feet, stimulating the local economy, and initiating recovery and reconstruction after a disaster, all at the same time. “The program expanded to include the local Waste Departments (Dinas) and local enterprises. It offered physical and technical growth support to local enterprises so that they could create livelihood opportunities in waste-related activities. The program is still ongoing, seven years after it began. 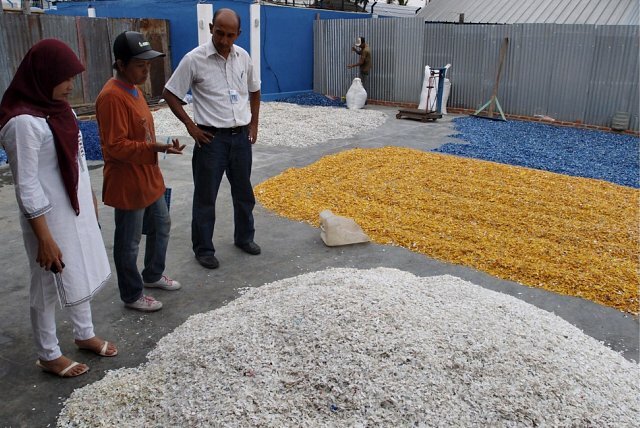 Personnel from UNDP (both in white) inspect the shredded plastic being dried in the sun for subsequent transport. The woman in the middle used to work at a waste company but now runs the “fair price” collection site. She applied and got funding from UNDP for the shredding machine, which paid itself within a year. Prior to the disaster, waste was collected irregularly from homes and roads and then taken to the landfill. Waste pickers rummaged through the trash and sold what they collected to local companies. These companies also functioned as the only source of credit for the waste pickers, leading to informal binding contracts between individual waste pickers and companies. A market like this (a monoposony) is the opposite of a monopoly: there are many sellers, but one or few buyers. It gives the buyers (local waste collection companies) a lot of power to drive prices down and collude with other buyers. In this case, this process drove down the price of recyclables and created informal binding agreements between a wastepicker and a particular seller. 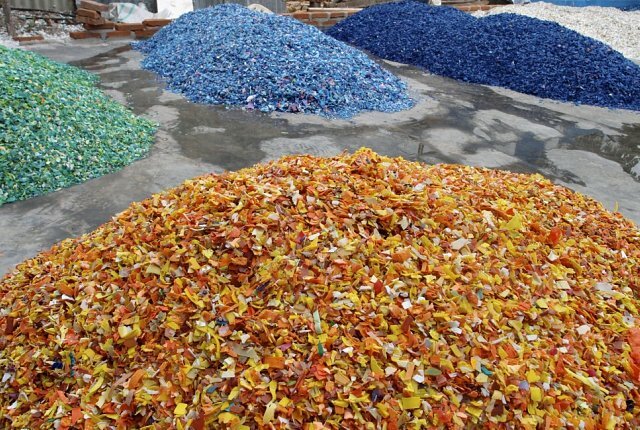 In addition, the waste pickers did not know the relative price of their goods or how to increase their marginal value (for example by sorting depending on color, or removing plastic rings from bottles). Sorting and shredding the plastic increases the price eight-fold. 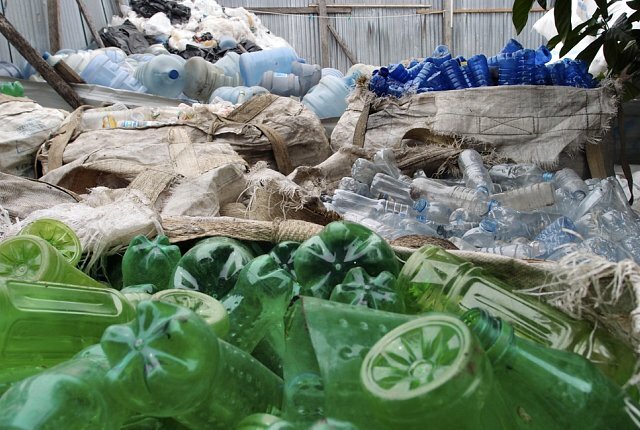 The investment made in the machine to cut the plastic was recovered within a year. For all the negative effects neoliberalism has had on the poor all over the world, TRWMP (unconsciously?) applied market liberalization policies that brought great benefits for waste pickers. First, TRWMP facilitated the opening of a new collection center that paid competitive prices and provided funding for equipment, increasing competition and breaking the existing monopsony. Second, educating waste pickers on the relative prices of their products gave them the information they needed to get more out of their work and function more productively in the open market. Finally, providing the new collection center with funding for micro grants helped liberalize the credit market and break the hold companies had on waste pickers. Results were immediate: waste pickers paid off their loans, started selling to the companies that paid better prices, and enrolled family members to do value-added tasks that raised the price of their goods. They began to collect the trash from homes and streets themselves, and during my visit even the garbage truck stopped in the collection center to leave some of its cargo. Collected bottles now sorted by color. These most striking results came from the support of livelihoods in the waste industry. It required the least investment and minimal use of foreign “experts”, relying instead on local NGO’s and entrepreneurs. Overall, the capacity building program for local Waste Departments is complex, and has had mixed results. Where the program has been tailored to local conditions (e.g., siting new landfills in areas of high demand), it has been successful. Where it has attempted a one-size-fits-all-approach (e.g., expanding a composting program to all 13 participating districts, regardless of socioeconomic or environmental conditions), it has often failed to meet local needs and therefore wasted precious resources from the local governments as well as donors. The TRWMP program showed me that on one hand, outside resources and capacity, coupled with local demand and commitment, make certain goals achievable. On the other hand, sometimes the best aid an organization can give is to get out of the way and remove others who are also obstructing development. There are no formulas and no prefabricated projects that will work, no matter how well intentioned. Modesty is key, because invariably, those you are trying to help know better than you. Post and photos by Daniel Broid. This research was made possible by generous contributions from the Mexican Science and Technology Council (CONACYT), MIT’s Public Service Center (PSC) and the Department of Urban Studies and Planning (DUSP).